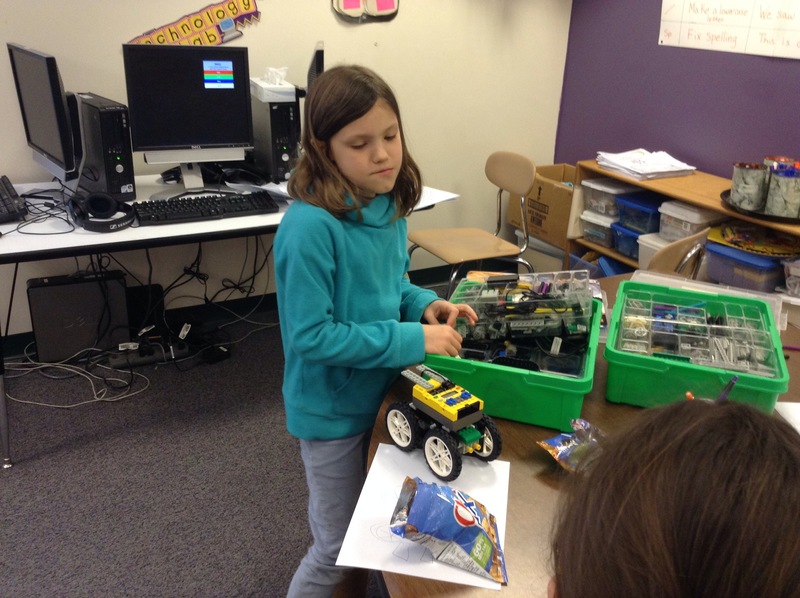 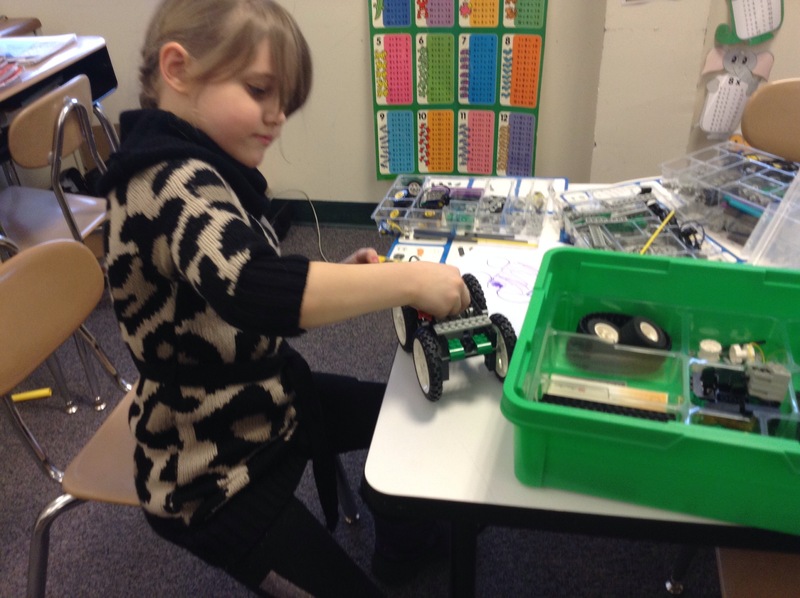 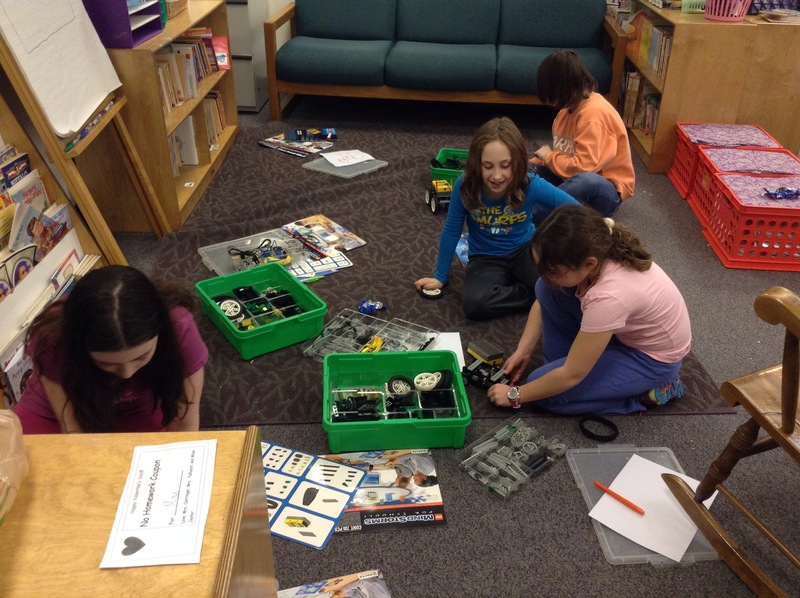 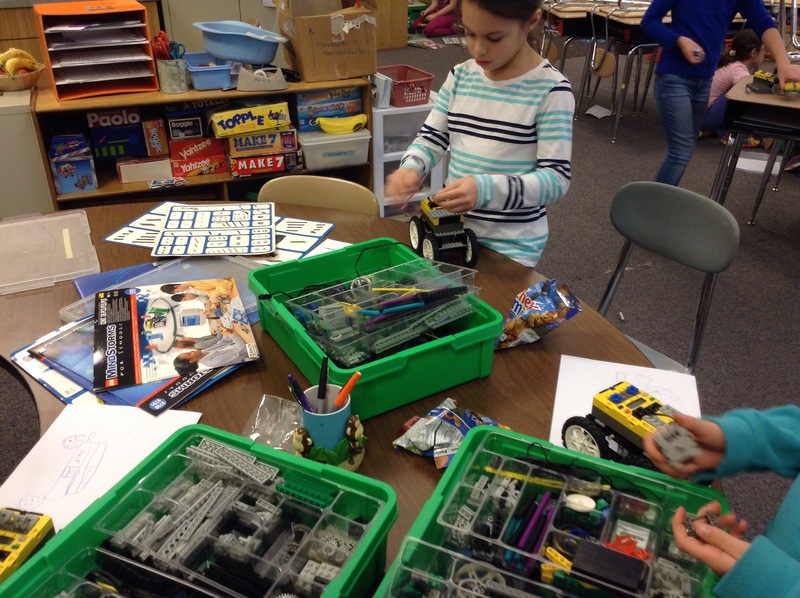 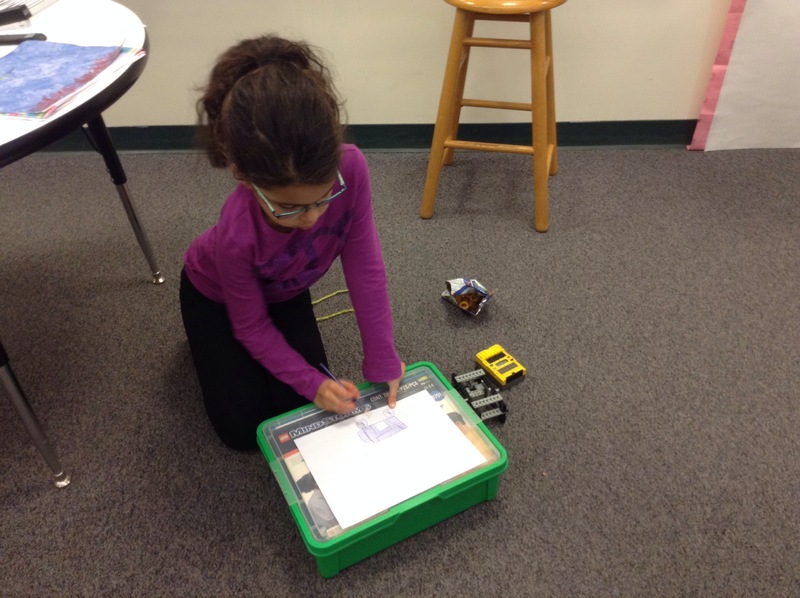 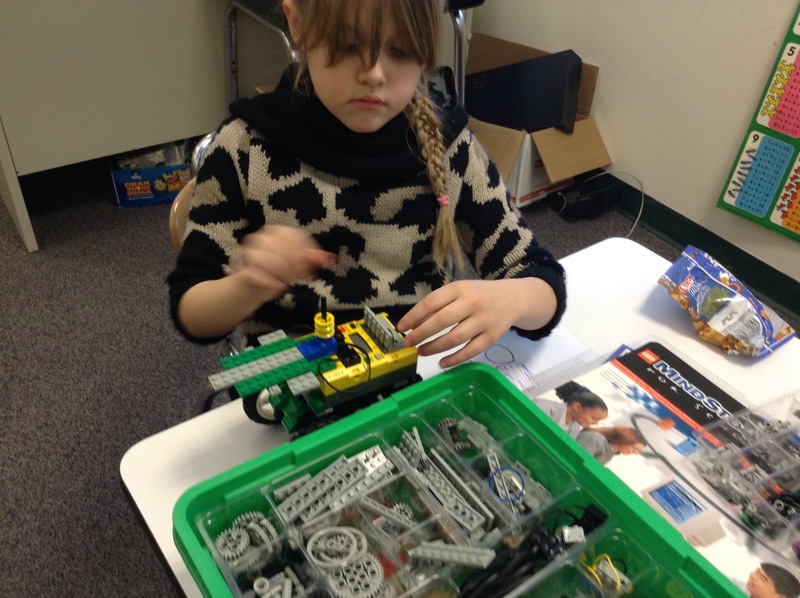 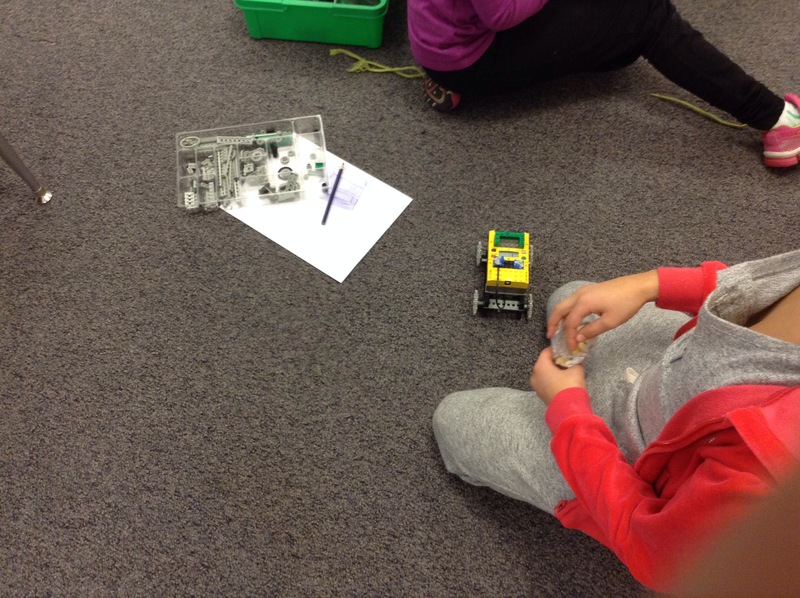 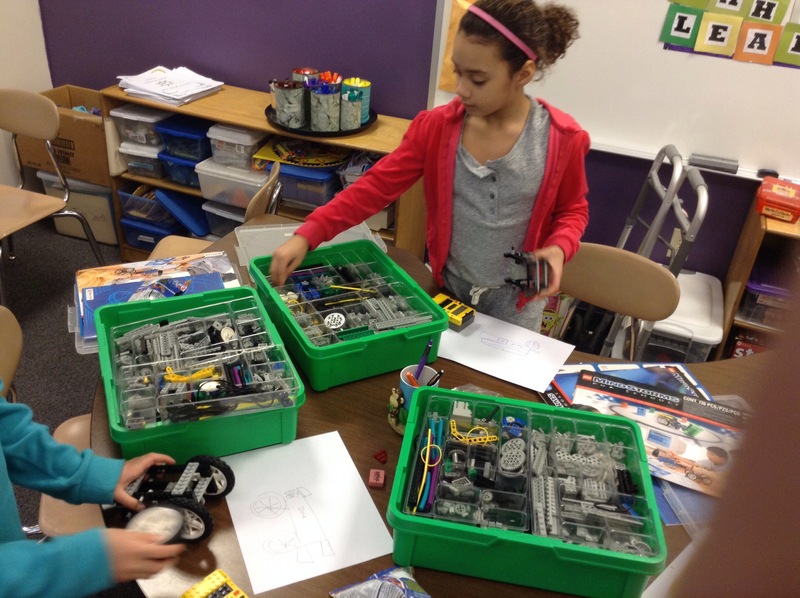 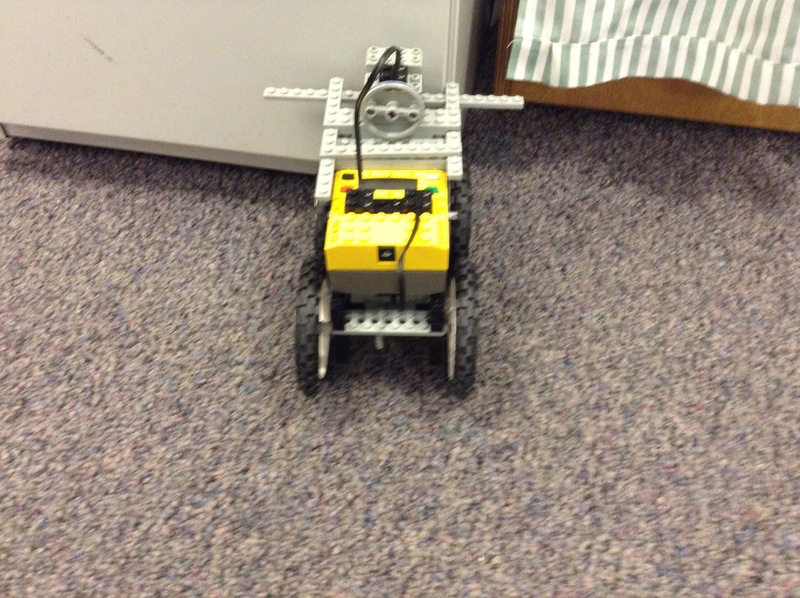 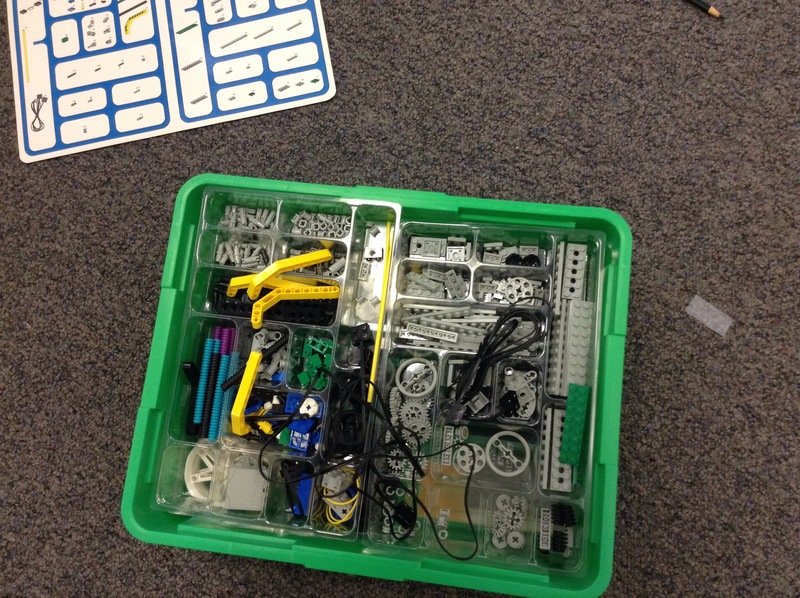 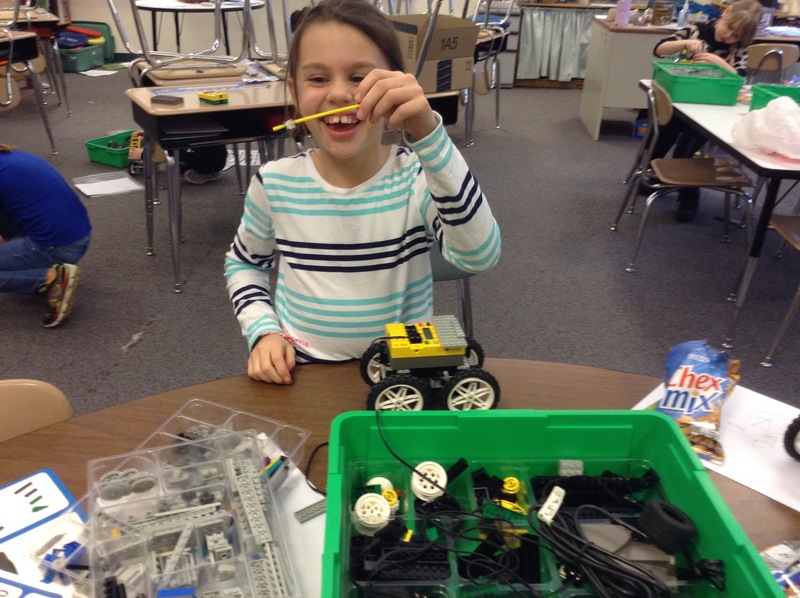 This week, the girls worked with Lego MIndstorm kits to design a car. 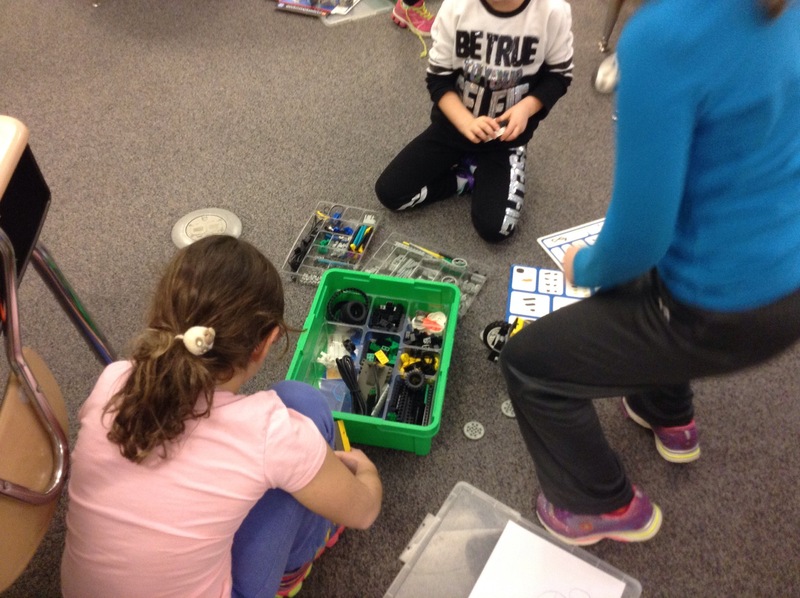 First they brainstormed and drew a plan, then they selected wheels, and finally they begin building. 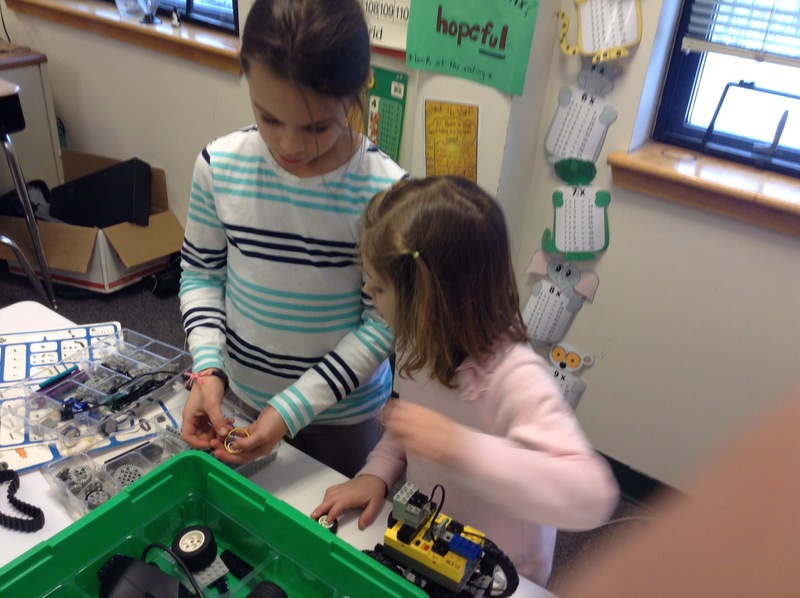 What I loved about about it was how quickly the girls starting asking questions and trying out different connections to see if they could get their cars to do anything else besides drive forward. 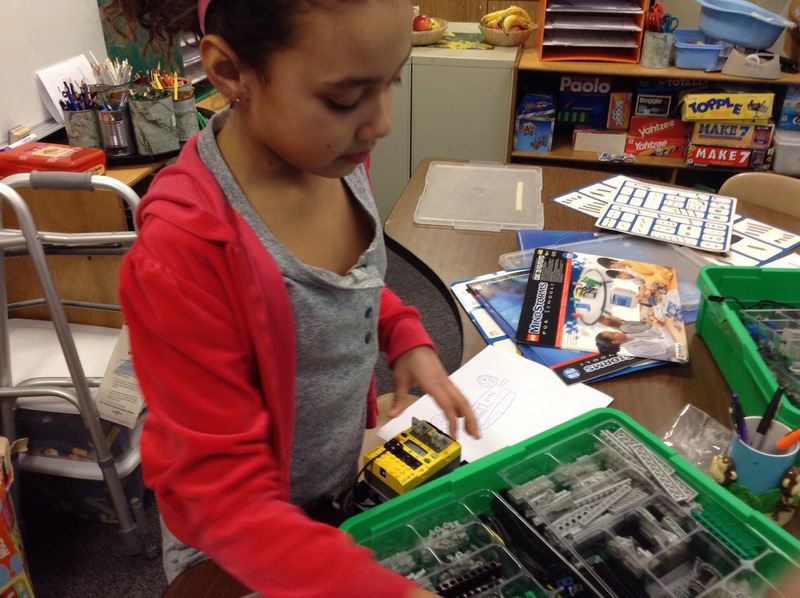 Many of them had drivable cars by the end of class. 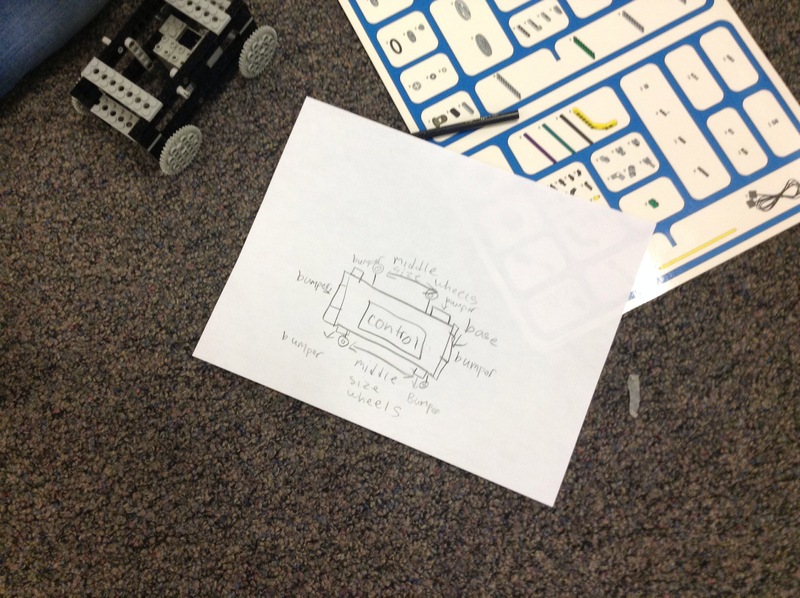 Next week, we will do any modifications to our designs and race them. 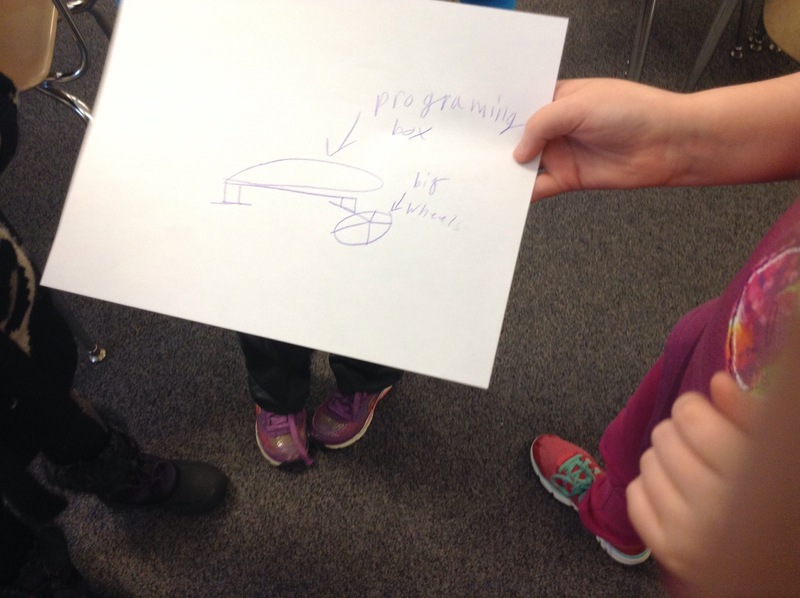 Hopefully we will have time to do an obstacle course, too!